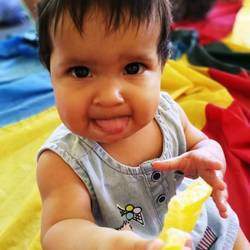 Development and stimulation classes for moms with babies and toddlers. Mothers and Miracles weekly workshops promote and enhance mother/child bonding. Learn through play. Intellectual stimulation. 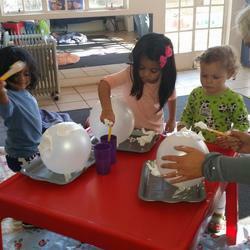 Sensory and tactile activities. Music and movement. Creative play. Fine and gross motor games. Baby massage. Meet other moms. 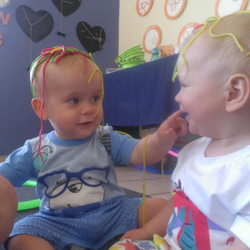 At Mothers and Miracles, we specialise in creating fun early learning experiences, for babies and toddlers. Our weekly workshops offer an intimate and nurturing environment where mothers and their young children engage in a range of carefully designed play-based activities that maximise early childhood learning potential.